A recent article in the Journal News discusses the sale of the Yonkers Polish Community Center to the Church of Jesus Christ of Latter Day Saints. As the author has enjoyed many events at this Center, and will certainly miss attending events if the center is sold, this article discusses the possible legal remedies when one of the parties to a real estate contract will not complete the transaction. In the situation discussed in the article, the buyer has given the seller a downpayment in the amount of $120,000.00. Although we are not familiar with the specific facts of this transaction, a downpayment is generally held in escrow by the seller’s attorney until the sale closes or the transaction is cancelled because the purchaser could not obtain a loan commitment, or for another contractual reason. There may be certain situations in which a seller wishes to transfer title to a property, but encounters legal difficulties in doing so. For example, a Religious Corporation, such as a Church or Synagogue, may seek to sell certain property. This subject was addressed in a previous blog post. Such a transaction must be approved by the New York State Attorney General. In addition, our firm has encountered situations where certain congregants challenge the decision to purchase or sell certain Church or Synagogue property in New York Supreme Court. Such legal challenges may cause a potential purchaser to request that a deal be cancelled. If a seller cannot legally transfer title to property due to losing a Court challenge, or fails to obtain approval of the New York State Attorney General after a good faith attempt, the remedy would be to cancel the transaction and return the downpayment to the potential purchaser. A more complicated situation may occur when the seller wishes to cancel the transaction for economic reasons, for instance, they have found another buyer who can pay more for the property, or have discovered the property is worth more than the price for which they agreed to sell. In such a circumstance, a seller may attempt to return the downpayment to the purchaser and cancel the transaction. However, where the potential purchaser wishes to continue with the transaction, this action may result in a lawsuit for specific performance brought by the potential buyer. Specific performance is a cause of action in which a plaintiff asks a Court to order a party to perform certain actions, as opposed to a lawsuit for money damages. In a real property specific performance lawsuit, the plaintiff is asking the Court to order that the defendant (the seller) complete the transaction and transfer title upon payment of the purchase price. The plaintiff must prove that they are ready, willing and able to complete the transaction by providing proof that they have complied with all closing conditions and have tendered the purchase price to the seller or to a third party to be held in escrow, and the seller has refused to accept same and refused to deliver a deed to the purchaser. The plaintiff must also show that there are no valid legal impediments to the transfer of the property, such as those discussed in the first half of this blog post. The complaint for specific performance should also allege that the property is unique, and that money damages alone will not compensate the purchase for the loss of the property which for they contracted. 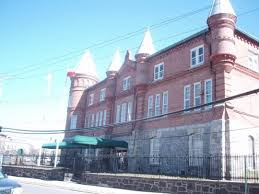 To return to our originally referenced transaction, for example, the purchaser of the Yonkers Polish Center could argue that the property is so situated in the City of Yonkers such that money damages alone will not be sufficient compensation for the loss of the property as contracted. If these elements can be proven, then the Court will order that the seller comply with the contract of sale, accept the funds from the purchaser, and transfer title to the plaintiff. Weiss & Weiss is ready, willing, and able to accept inquiries from all business and individuals who may have legal issues regarding property transactions such as those discussed in this blog post.